As a way of saying THANK YOU ♥ to my lovely subscriber Sophie Louise, I've decided to do this little blog post / video, where I'm showing you the gifts I received from her! She wanted to send me some Barry M make up items & some of her own favourites, because I actually never had a chance to try out this brand before (and I have heard good things about it!). I really liked everything that she sent me and soon I'll be doing a make up tutorial / review feat. 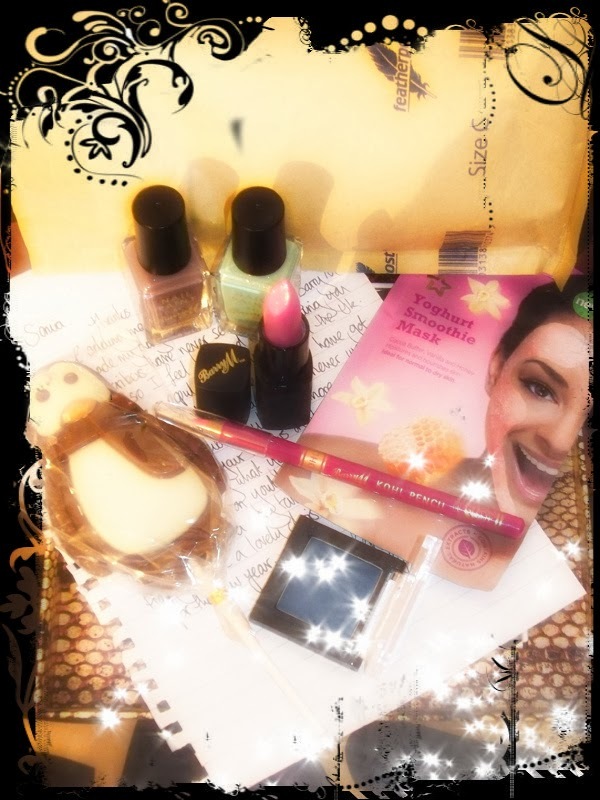 Barry M make up! Thank you Sophie Louise, thank you so much for all your sweet comments & for all your love & support! You really made me smile! I truly appreciate all my subscribers & blog readers, without you all this wouldn't have a meaning! As a sign of my love, and gratefulness for 500K page views, I'm hosting a big giveaway, and you can still enter HERE!